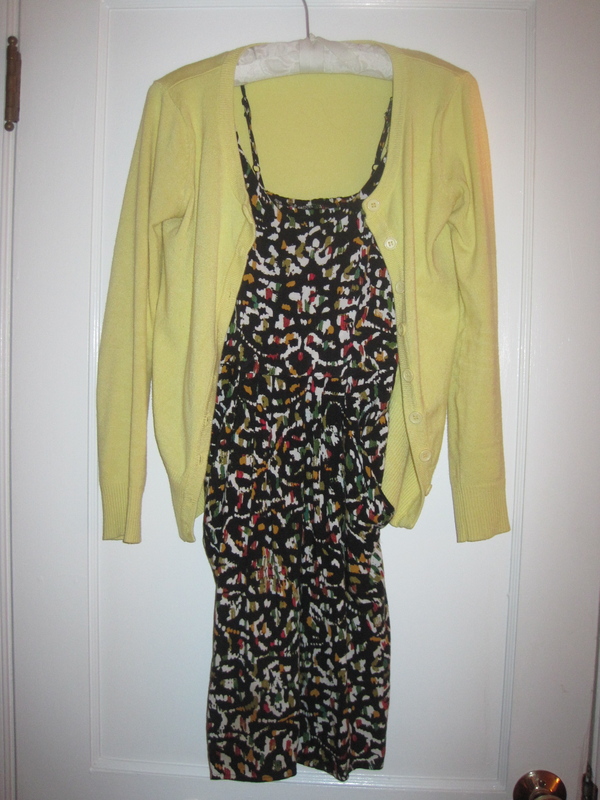 I like the pale yellow contrast with the patterned dress. Spring green and dark denim go great together. The temperature has soared – it feels nice to wear bare legs! This time last year: May 11 and May 13. Thanks for reading! 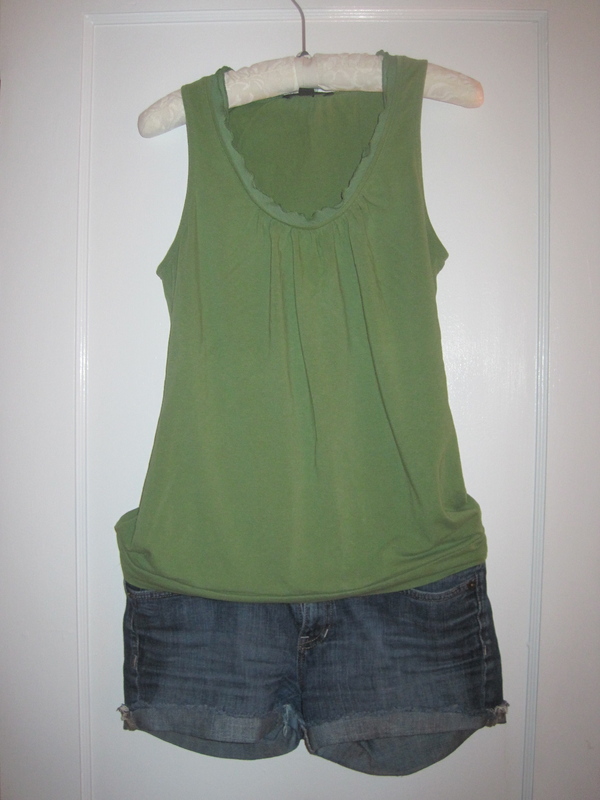 This entry was posted in Daily Outfit and tagged denim, green, patterns, yellow. Bookmark the permalink.